Two controversial energy infrastructure megaprojects located on opposite sides of the world, one in Western Europe and the other in Southeast Asia, are linked in more subtle ways than the most obvious bond i.e. they share the same main project developer. Hinkley Point C (HPC) nuclear power station, proposed to be built in the English county of Somerset and the Nam Theun 2 (NT2) Hydropower Project in operation since 2010 in central Laos are both megaprojects awarded to the French state-owned power utility, Électricité de France (EDF) as the main developer and shareholder in the respective project consortia. Both projects are touted by their proponents as low-carbon energy alternatives to fossil fuel burning power plants that are designed to economically supply perceived unmet energy demands; both represent the biggest infrastructure projects the respective host nations have built at the time of construction; both projects have considerable externalities not being shouldered by the developers due to taxpayer subsidised risk guarantees; and both are mired in complex multi-stakeholder debates over their socio-economic and environmental sustainability credentials. Beyond these similarities, both HPC and NT2 share a common pattern of politicisation at the highest levels of government, both at home and abroad, as vested interests clamour for each project to proceed at whatever the cost (both financially and politically). This situation inevitably leads to some serious political and economic distortions and inherent risks that emerge with time, that could have been avoided had less high profile, cheaper, smaller, more accountable, devolved and transparent energy projects been developed. Thus, it might be an interesting exercise to compare these two megaprojects and see if any wider lessons can be drawn from the common linkages discernible, despite the significant physical distance and domestic development context that separates them. 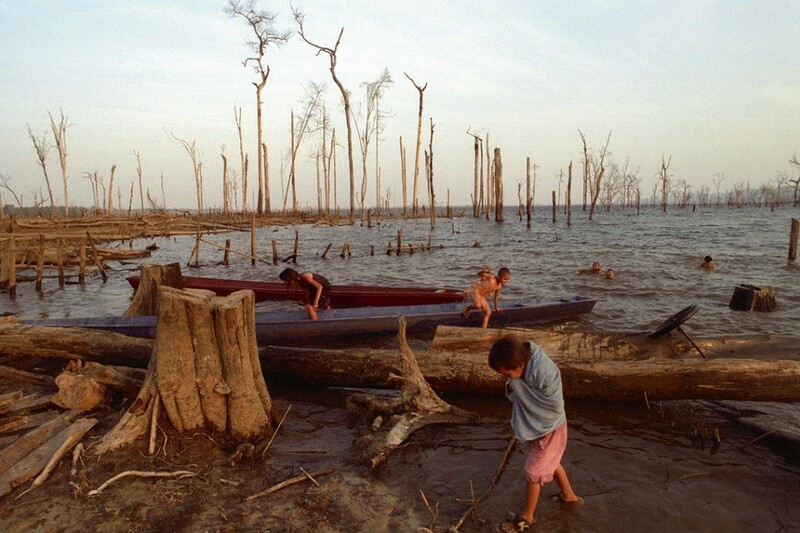 Nam Theun 2 – a dam too far for EDF and the Banks? As the historically older case, this hydropower project had an extended period of gestation between initial development plans being proposed and eventual construction many decades later. A pre-feasibility study was first conducted in 1986, although basin planners with the multi-lateral river basin organization, the Mekong Committee, had already identified the dam site as holding potential for hydropower generation in the 1960s. With the Indochina War being expedited across Laos (as “the other theatre”) and eventual 1975 regime change in Laos ushering in a one party communist state, geo-political conditions were not conducive for the project to be resurrected until the early 1990s, when the plans were dusted off once more by international actors. It took ten years in the appraisal and preparatory stage from 1995 before final approval by the World Bank’s Executive Directors in lending countries was granted, thereby rubber-stamping the proposed social and environmental safeguards to mitigate and compensate for project impacts. This approval followed a year long period of “public consultations” and “participatory workshops”, conducted both internationally and domestically (though it was widely acknowledged that no meaningful participation was possible in the Lao context). In no reasonable sense could the developer claim to have gained broad public acceptance or employed a “fair, informed and transparent decision-making process”, according to World Commission on Dams principles, given the depth of opposition expressed by civil society globally. I attended the Bangkok leg of the “technical consultations” held in August 2004, at which numerous civil society actors and dam-impacted villagers from Thailand, including a handful of impactees from the World Bank-funded Pak Mun dam, gave a series of heartfelt and well-reasoned arguments why it was an ill-conceived idea to build the NT2 dam project. The Pak Mun dam in Northeast Thailand became infamous for the multiple impacts it caused to fisheries and aquatic resources based livelihoods, sparking local protests and wider social conflict that still simmers today. But the Bank officials brushed off the objections with their own technocratic arguments as to why constructing the project was Laos’ only option to deliver it from abject poverty through electricity revenue generated and develop economically based on a rational utilisation and export of its natural resource asset base. At all the other consultations worldwide, voices of opposition outweighed those in support both in terms of numbers and credibility of the arguments presented. However, it was clear the decision to proceed had been taken long before the consultations were held and the World Bank was more interested in issuing a “blank cheque” to the developers, as maintained by David Hales of the Worldwatch Institute who chaired the public workshop on NT2 in Washington in September 2004. The NT2 Hydropower Company (NTPC) that built, owns and operates NT2 is itself a consortium of three main shareholders, namely EDF International (40 %), the Electricity Generating Public Company of Thailand (EGCO) (35 %), and the government of Lao PDR’s Laos Holding State Enterprise (25 %). NTPC sell 90 % of the power generated from the 1,070 MW installed capacity plant to the Electricity Generating Authority of Thailand (EGAT), with the remainder consumed domestically in Laos. Construction officially began in November 2005 and NT2 was commissioned in March 2010, having cost about $1.45 billion, with funding derived from multiple sources, including France’s Coface, Sweden’s EKN, Norway’s GIEK, the ADB, Multilateral Investment Guarantee Agency, the World Bank, the French Development Agency, the Export-Import Bank of Thailand, Nordic Investment Bank, nine international banks and seven Thai banks. The Lao government’s equity share in NTPC was financed chiefly by a loan from the European Investment Bank (EIB) and Asian Development Bank (ADB), with the multi-lateral banks providing political risk guarantees to the developers and private lenders, in effect, thus placing the main burden of risk on taxpayers in the contributing countries and into the future, with the Lao people. Due to its size, prestige and symbolic nature, NT2 neatly embodied for all representatives of the temporarily thwarted dam building industry (domestically and internationally) a significant step towards the realisation of the popular narrative created that Laos could become the “Battery of Asia” or “Kuwait of Southeast Asia”, if the slumbering nation could only maximise the development of its hydropower potential. 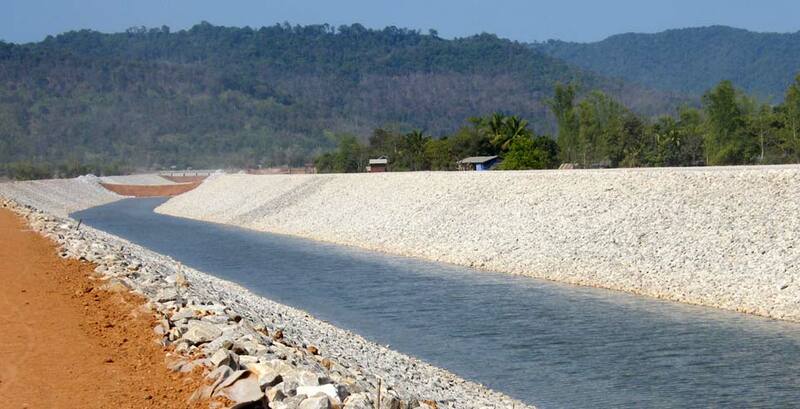 Technically, the dam project appears to have performed reasonably, but socially and environmentally the dam has been a predictable disaster, with the impacts falling particularly heavily on the downstream riparian people living along the Xe Bang Fai river in Khammouan and Savannaket provinces. A significant, but invariably overlooked, historical feature of NT2 and the manner in which funding approval was granted by the multi-lateral banks, relates to the highly politicised nature of the campaign pushing for its development, that included being able to harness the support of national leaders at critical moments. At one point in late 2004, it seemed like commitment was wavering from several crucial parties to backing the project, including some ambivalence on the French and American sides as to whether this was a worthy project to be involved in, given the patently high social and environmental impacts that would result and rising voices of opposition. Seemingly in a carefully calculated bid to sway any doubters of the project’s strategic importance, proponents started playing the “China card”, suggesting that if the Western institutions failed to back it, then China would fill the gap in a trice and takeover the project. This scare tactic seemed to do the trick, because French President Jacques Chirac was understood to have intervened and secured European loans and grants to secure EDF’s central involvement, a fact tacitly acknowledged by the French Ambassador to Laos at the project’s powerhouse construction inauguration ceremony in November 2005. The ceremony was also attended by the Lao Prime Minister, Bounnhang Vorachit and then Thai PM, Thaksin Shinawatra, representing the country likely to benefit most from the project in terms of immediate construction contracts, subsidised imported energy and externalisation of socio-ecological costs. 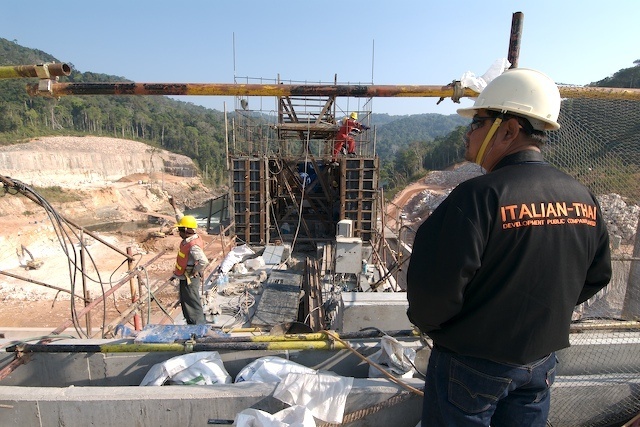 Building large dams in Thailand has been controversial since the early 90s, thanks to an active civil society and relatively free media. There were strong suspicions amongst civil society observers and energy analysts that the World Bank doctored its figures and used incorrect assumptions in order to make the economic argument for the dam stack up, prior to final appraisal in March 2005. Civil society critics had always argued that there was no credible economic case for the NT2 project going ahead, above and beyond its poor social and environmental score sheet, as the amount of electricity it was supposed to produce for export could easily be covered by demand side management in the Thai energy market. At least 153 NGOs recorded their opposition to the dam project going ahead during the evaluation phase. In 2011, the World Bank published a report entitled “Doing a Dam Better: the Lao People’s Democratic Republic and the story of Nam Theun 2”, in which it is claimed the story of NT2’s development would provide “valuable insights and lessons that can be applied in future projects of similar size, scope, and complexity”. It was also held up as “strong evidence” of the Bank’s re-engagement in and commitment to supporting the large hydropower sector, after a decade-long hiatus prior to and after the seminal World Commission on Dams (WCD) report. Thus, the NT2 project fulfilled many functions for the dam lobby, not only in terms of Laos but worldwide, as a harbinger of renewed lending for “high risk, high reward” hydraulic development projects. And sure enough, it did open up a flood of cheap finance, subsidies and externalisation of risk for the ever-thirsty industry across Asia, Africa and Latin America. The World Bank’s storyline of success with the project has continued since, despite the many reports issued that challenge this stale narrative with compelling evidence, including those from the project’s own Panel of Experts (PoE), but also numerous civil society studies conducted. The project is expected to generate total revenue of $1.9 billion over the course of its 25 year concession period, of which some 25 % should, in theory, make it into Lao government coffers to help fund rural poverty alleviation programmes. However, because the project’s financial arrangements are so murky, particularly on the Lao government side, there is no guarantee in place that the funds generated will be spent where they were originally intended. Due to a culture of intense secrecy and unaccountability within the heart of Lao state governance, it is uncertain to what extent dividends, taxes and royalties from NT2 have been directed towards social security, education or health programmes. Without an independent audit, suspicions remain that revenues are just co-mingled with other public resources or even mis-appropriated, calling into question any claims by the Banks of a “model project” in water or energy governance. Tellingly, a spate of subsequent hydropower projects in Laos have ignored the long list of “safeguards” touted as the new standard by the NT2 proponents and fast-tracked dam construction without even basic public consultations. In Transparency International’s 2015 Corruption Perception Index, Laos was ranked 139th out of 168 nations worldwide. Meanwhile, most of the goals of the social and environmental mitigation programme remain unmet, while many of the impacts identified by critics (and some additional ones) have been borne out in practice. Resettled families have not been made demonstrably better off and many are still reliant on dwindling material handouts from the NTPC and Lao government to survive, while downstream along the Xe Bang Fai recipient river in Khammouan and Savannakhet provinces, fish populations have crashed and riverside vegetable gardens lost amongst a catalogue of impacts, impoverishing the livelihoods of the tens of thousands of people that once relied on them. Rainy season flooding has been exacerbated by the power station additional flows, further eroding the sustainability of local livelihoods through destruction of rice crops. Meanwhile natural forests have been destroyed and wildlife decimated in the “protected area” in the headwaters of the NT2 reservoir, despite the assurances of the dam proponents that the project’s development would ensure their protection. As Professor Thayer Scudder, an eminent global expert on the social impact of dams, Commissioner for the World Commission on Dams and one of the three person Panel of Experts for the NT2 project, commented in a New York Times article in August 2014, after nearly two decades spent closely monitoring the dam’s development process, “Nam Theun 2 confirmed my longstanding suspicion that the task of building a large dam is just too complex and too damaging to priceless natural resources”. Hinkley Point C – more economic madness? Nuclear power was first developed in the United Kingdom during the 1950s and 60s with the somewhat cornucopian promise of abundant clean, cheap and reliable energy for present and future generations to benefit from. The British public generally believed the claims made by the industry and politicians, so little overt opposition to nuclear energy (unlike nuclear weapons) appeared until the first large-scale nuclear accident occurred at Three-Mile Island in 1979 followed six years later by nuclear meltdown disaster at Chernobyl. These events and various setbacks within the industry prompted a much wider debate about the technology with a resulting fall in public support. At its peak in 1997, nuclear power generated 27 % of the nation’s electricity, but this has subsequently declined to about 18.5 % (in 2012) from 15 nuclear reactors, as the original fleet of power stations has been gradually retired for decommissioning and not been replaced. Based on rhetorical concerns about future energy security and pressures to reduce national emissions of carbon dioxide, the UK government announced in 2008 that it had given the go-ahead for a new generation of nuclear power stations to be constructed, with eight potential sites announced the following year, one of which was Hinkley Point. This move proved controversial, with many NGOs, including Greenpeace, Friends of the Earth, the Campaign for Nuclear Disarmament and the World Wildlife Fund opposing the shift back to nuclear power solutions, on the basis of uncertain cost-benefit appraisal, the opacity of the planning process and environmental concerns. By marked contrast with NT2, nuclear plants like HPC do not require the resettlement of 6,500 households nor do they have the same direct negative impacts on the livelihoods of tens or hundreds of thousands of people, so the short term social and environmental impacts could be said to be more limited and manageable. 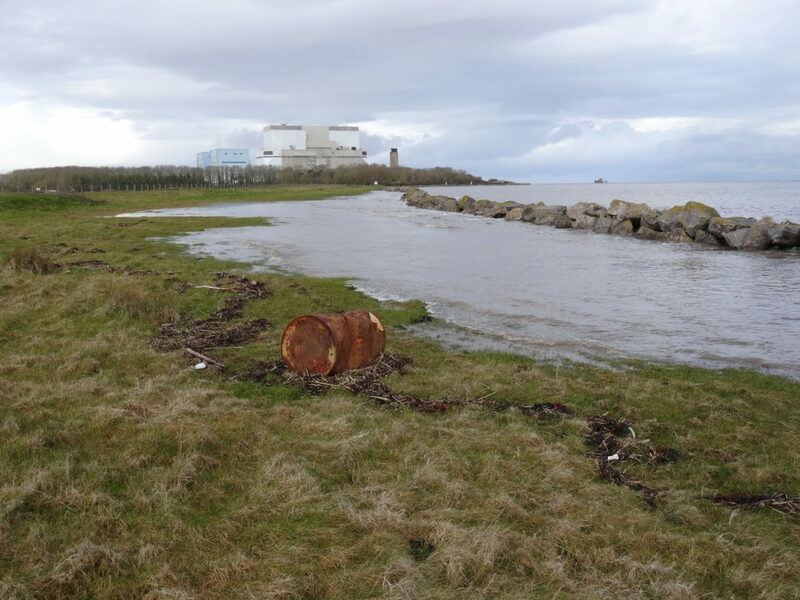 However, the long term environmental and health impacts and risks posed are less favourable, due to the problems of nuclear material transport to and from site, safe disposal of radioactive waste and plant decommissioning issues passed on to future generations to resolve. After a long period in the consultation and planning stages, a third reactor is scheduled to be built alongside two existing plants at the Somerset coastal site, namely Hinkley Point A (Magnox reactor) and B (Advanced Gas-cooled Reactor). The landscape-dominating plants occupy a low-lying, rural spot barely above sea-level next to the Bristol Channel, famed for having the second highest tidal range in the world after the Bay of Fundy, eastern Canada. This fact is material, when considering the United Kingdom’s energy futures in an era of awareness of the need to build alternative, safe and sustainable energy sources to mitigate predicted climate change. The UK government is legally committed to a gradual decarbonisation of the nation’s energy production mix up to 2050. 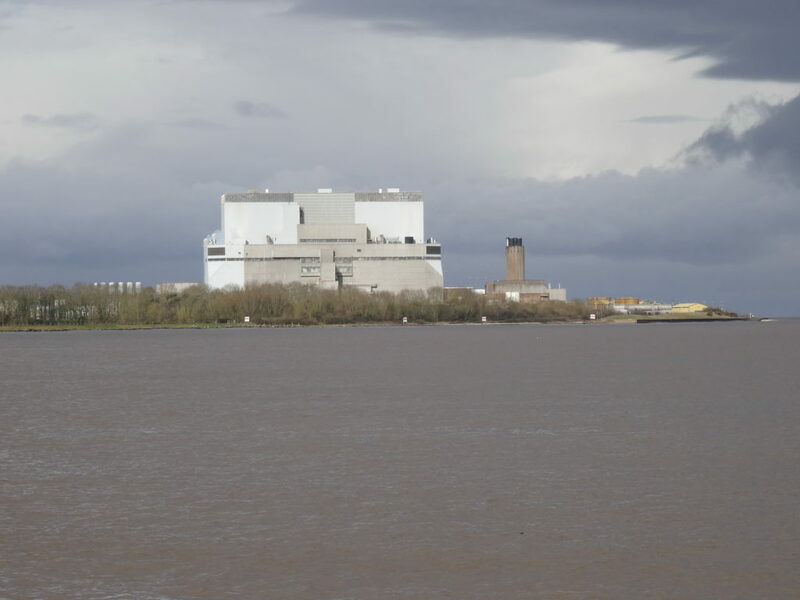 While the original A plant closed in 1999 and is being decommissioned, Hinkley B is still operating under EDF ownership and is not expected to cease operations until at least 2023. The entire site is vulnerable to future increases in sea levels, something that was not well understood when Hinkley A and B were built, but should be a high priority for HPC planners. In 1607, a major tsunami is recorded as engulfing much of this coastline and killing an estimated 2,000 people, but neither this historical event nor future predicted sea level rises of at least two metres by the end of this century and more severe weather events precipitated by climate change seems to have dampened the appetite of the proponents to push ahead with HPC, regardless of potential risks. 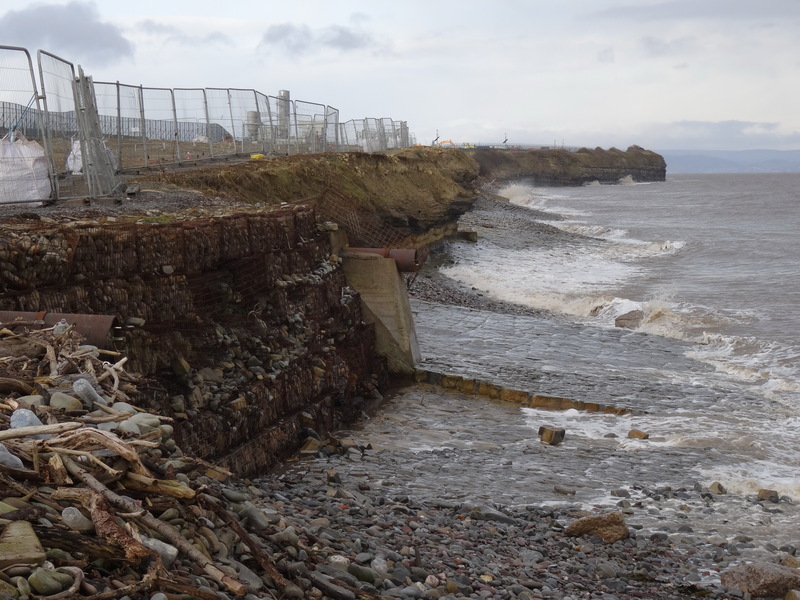 When I visited the site in early April 2016 at high water on a spring tide, the sea was already lapping over the first line of concrete defences around the existing reactors (see picture). I can foresee extra marine erosion and flood protection measures, adding further to the costs of the project in the foreseeable future. HPC was originally proposed by the government as an ideal solution to “keeping the lights on” in a climate change challenged world, able to supply 7 % of the UK’s present energy needs at a single location, through a 3,200 MW installed capacity and reliably high plant load factor. The trouble is, the European Pressurized Reactor (EPR) design EDF have proposed to use is thus far unproven technology and at the four other sites where a similar nuclear reactor type is being constructed in France, Finland and China, the projects have been dogged by unforeseen technical problems leading to steep cost and time overruns. As a political party, the incumbent Conservatives have traditionally offered strong support for nuclear power, although up until a few years ago the leadership insisted that it should not be subsidised by the taxpayer but subject to normal market forces and open competition. However, this stance shifted under the Conservative-Liberal Democrat coalition government (2010-15), when ministers decided that the UK should pursue a nuclear-fuelled future, with the provision of state subsidies to sector investors, riling both free-marketeers and renewable energy campaigners alike. This policy position remained unchanged even after the sobering wake-up call of the potential dangers surrounding nuclear power delivered by the March 2011 Fukushima disaster. Yet the British public have proven far less averse to nuclear power than the German population, perhaps partly because the former have been fed a regular line from the government that without further nuclear development the UK may be looking at future brown-outs. Such a fear-invoking narrative was recently admitted to be a myth by the government’s own Secretary of State for Energy and Climate Change, when Amber Rudd publicly stated that the nation’s lights would not go out if it was not developed, as had been claimed by her predecessors. Despite the generous government guarantees provided by a strike price (at £92.50 per MW/h) for the electricity produced of over twice the current wholesale price for electricity in the UK, the parlous state of EDF’s finances and massive debt mountain mean that HPC is a risky proposition for the utility. Its own workers’ union opposes the project and in February 2016, Thomas Piquemal, EDF’s chief financial officer resigned, warning that building HPC could ruin the company. As a result, the French government has said it plans to provide financial support to EDF, a move that will likely fall foul of EU legislation to ensure fair competition in the energy market and disallow unfair state aid to individual companies, something that the UK government is already being challenged on in the European courts by the Austrian government. With national pride and the reputation of French nuclear technology potentially at stake (EDF is also looking to invest in China and other countries), a decision from the French government on whether to bailout EDF has been delayed time and again, and a decision is not now anticipated until at least September 2016. One remarkable point of difference between NT2 and HPC is that with the former, China was portrayed by some as a threat to EDF and Western venture capital’s regional interests, had it been allowed to gain a stake in the dam project. With the benefit of hindsight, China was poised to build dozens of other dams in Laos, with or without EDF’s involvement. But now China is actively courted as a nuclear investment partner, both for the injection of funds it can offer, but also, potentially for its technological expertise. Indeed, the China General Nuclear Power Corporation has taken a one third stake in HPC, with the deal inked just hours before the state visit of President Xi Jinping to London in October 2015. Much to the chagrin of human rights groups, the President was afforded the red carpet treatment for his visit, with PM Cameron and Chancellor Osborne hoping HPC would be the springboard for further Chinese investment in nuclear power stations in Essex and Suffolk. With the latest twist in the Hinkley saga looking like a legal challenge will be launched against the UK and French governments, one Southwest region Green MP referred to HPC as an uneconomic “white elephant” which is being pushed regardless, because there is “now a political battle where the stakes for both the UK and France are just too high to admit failure”. As Flyvbjerg stresses in his analysis of such megaproject development by a relatively few societal elites, the monomaniacal pursuit can frequently lead to the deception of “parliaments, the public and the media about the costs and benefits of the projects”. It seems there is more linking the development paradigm of Savannakhet and Somerset than citizens in both the U.K and Laos may fully appreciate. There is still a glimmer of hope, however, that commonsense may prevail in London and Paris, and the HPC case of folie de grandeur may be stopped in its tracks. 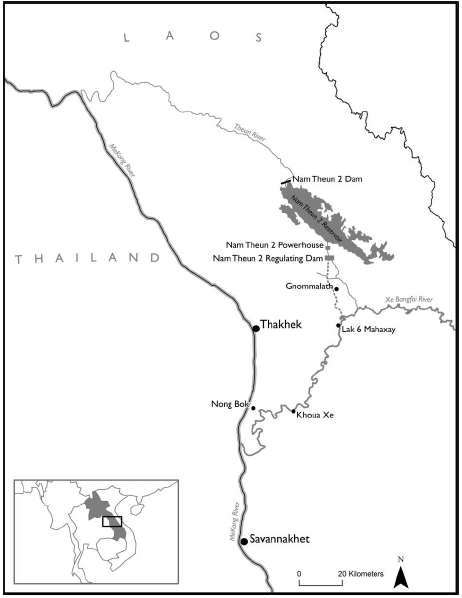 In the case of NT2, Laos has now been locked into a project with multiple negative social and environmental consequences, many irreversible such as permanent loss of valuable terrestrial and aquatic biodiversity, that will ultimately cost its citizens and the wider Mekong basin populations dearly into the future. Interestingly, in the address given by Pierre Lellouche, Minister of State with responsibility for Foreign Trade at the Nam Theun 2 project’s inauguration ceremony on 9 December 2010, he claimed that the site was first identified back in 1927 by an engineer, presumably of the French Indochina colonial government. The plant load factor is the ratio between the actual energy generated by the plant to the maximum possible energy that can be generated with the plant working at its rated power over the duration of a year. Women lead the voting lines at Myanmar’s national election in 2015. Peacebuilding practitioners in Myanmar should re-orient the way we look at peace and conflict processes, by viewing them through the experiences of women. Applying a gender lens to Myanmar’s peace process—which is largely dominated by male elites and leaves out the voices of ethnic communities, will reveal a more complete picture of the strategies being enacted by civil society actors to mitigate the effects of armed conflict. This, in turn, could inform policies that are more likely to generate productive results. Since the advent of Myanmar’s transition to democracy in 2012, bringing peace to conflict-ridden ethnic areas has become a focus for actors engaged in the country’s development. Western governments including the United States recently hailed the signing of the Nationwide Ceasefire Agreement in 2015 by a handful of ethnic Armed Organizations as an important, albeit nascent step toward the end of decades-long civil unrest. In addition, development practitioners at the national level have begun implementing peacebuilding initiatives of their own. Much of this work is being done against a backdrop of caution: conflicts in Kachin and Shan, two of Myanmar’s largest states, have left over 120,000 civilians displaced in the last five years alone, making optimism about peace seem premature. Additionally, the presence of a plethora of international “experts” in this space has led to criticism on the goals of the peacebuilding agenda. Development practitioners, well-aware of these cautions, continue to hope that the recently-elected National League for Democracy (NLD) government will usher in a new era of nationwide reconciliation, making Myanmar an exemplary case study for conflict practitioners around the world. Despite this optimism, however, the lens through which many practitioners look at peacebuilding in Myanmar remains incomplete. In the rush to implement solutions, gender, a crucial factor in understanding the effects of armed conflict is often left out of key programming and policy initiatives. This is compounded by the fact that in national-level peace negotiations, women (especially ethnic women) are rarely allowed a voice. Research has shown that beyond simply a being call for diversity, there are concrete benefits to integrating gender-sensitivity into development work. These include sustainability of programming and, in post-conflict situations, an increased likelihood of sustained peace. Therefore, rather than creating programs that are “gender blind,” practitioners should put gender at the center of the peacebuilding conversation. Seeing peace and conflict from “below” will provide a more complete picture of what is happening on the ground, and inform the creation of more productive policies. Actors who call for applying a gender lens to Myanmar’s peace process unanimously suggest that women’s circumstances in Myanmar will improve when the numbers of women in public life increase. Gender inclusion, representation and participation have surfaced as focal points in these discussions, with a host of civil society women’s organizations shedding much-needed light on the lack of women’s participation in formal peace negotiations. Instilling a gender lens onto governance, particularly during the advent of the Suu Kyi-led NLD, these groups suggest, is paramount to advancing Myanmar’s peace agenda. More women in power, the argument goes, will lead to sustainable peace on Myanmar. As important as this argument is, I suggest that it is incomplete. Incorporating women into pre-existing structures of power, while arguably beneficial, can also replicate hierarchies dominated by elites, leaving out the experiences of ordinary women. The sheer accomplishment of instilling more women in political office doesn’t tell us, for example, how gendered cultural practices are supported by, or lead to the exacerbation of, armed conflict. It doesn’t tell us how certain women become authorized to take on leadership roles, while other women lack even the most basic understanding of gender equality. We don’t yet understand how gender dynamics at the village level authorize wars to remain entrenched, or how resistance to war and refuting gender stereotypes go hand in hand. Issues of access and power are as much a part of “gendering” peace as are questions of women’s visibility. Development practitioners should widen the lens to look at places where gender and power intersect. This can be done by looking to the ground and examining cultural spaces where women are seemingly invisible: at the village level, in grassroots civil society, and in peacebuilding organizations themselves. We must ask how gender dynamics in these spaces inform social inequalities, keep women at a disadvantage, and cement the roots of conflict. One example of an area that can help us better understand the intersections of gender, conflict and peace is civilian ceasefire monitoring. In recent years, ethnic peacebuilding practitioners have begun implementing a new approach to monitoring the fragile ceasefire agreements between Ethnic Armed Organizations and the Union of Myanmar Government. Civilian Ceasefire Monitoring, or CCM, began as an answer to the failed United Nations (UN) model of armed civilian protection in contexts such as Rwanda, Bosnia and Somalia throughout the 1990’s. It differs from other peacebuilding approaches in that it engages the direct participation of communities working on the ground, rather than relying on “outside” actors (such as the UN) to monitor conflict. In the CCM approach, villagers themselves are trained to understand the ceasefire agreements in place, and monitor incidents that breach those agreements. Often included in this work is “unarmed civilian protection monitoring,” which engages villagers’ participation in reporting on broader human rights violations (i.e., land grabbing, sexual assault). Notably, civilian ceasefire monitors must remain neutral in their efforts—making a commitment to align with neither side of an armed conflict. They also, by definition, must remain unarmed. Civilian ceasefire monitoring mechanisms in Myanmar are diverse in their practices, goals and capacities. While some draw from previous experiences monitoring conflict in their regions, others are only beginning to develop the tools and knowledge necessary to achieve their goals. Overall, though, the mechanisms are aligned in their mission to actively monitor violations that persist in ethnic conflict areas. Recently, I conducted preliminary research for Mercy Corps Myanmar’s Supporting Civilian Ceasefire Monitoring program on the gender dynamics of civilian ceasefire monitoring in Myanmar. The research assessed CCM mechanisms in six ethnic states, where over two-hundred-and–forty-four monitors are working in twenty-four villages and townships. The research took place in Kayah, a small state in eastern Myanmar that has suffered from decades of conflict with the Union of Myanmar (UOM) government, and where weak infrastructure and food insecurity remain rampant; Kachin, home to the Kachin Independence Organization which has been entrenched in armed conflict since 2011, resulting in the internal displacement of over one-hundred-and-twenty thousand civilians; Chin, a remote, isolated area of Western Myanmar with scant natural resources and little infrastructure and one of the poorest regions in the country; Shan, a state which has suffered from decades of civil conflict and reports the highest levels sexual violence in armed conflict; Kayin (Karen), where land confiscation, natural resource extraction, and foreign-led development projects are ongoing concerns of citizens, with armed actors often implicated as perpetrators; and Mon, whose governing body, the New Mon State Party (NMSP) abstained from signing the NCA out of protest around its non-inclusiveness of other EAOs. Our team conducted interviews with ten men and eight women, in an attempt to understand the practices of CCM mechanisms in these areas, and what role gender inclusion (and omission) might play in their work. The findings revealed that a correlation exists between gender inclusion strategies and network functionality. Formalized gender inclusion strategies were discussed by mechanisms in Kayin, Shan and Mon states, who demonstrated conscious efforts to include women’s voices in decision-making processes and leadership roles within the mechanism. By contrast, mechanisms in Kachin, Kayah, and Chin demonstrated comparably less commitment to including women in their processes. It can be argued that this, in turn, affected the overall functionality of the mechanism. Women from these networks reported being silenced in meetings, excluded from decision-making, and discouraged from working as monitors. This negative feedback, they explained, came from the community, their families, and male members of the mechanisms. In addition, the findings revealed that gender issues inform the way a mechanism approaches its ceasefire monitoring mandate—specifically, whether to monitor a given bilateral or nationwide ceasefire agreement, or whether to monitor issues of civilian protection –i.e., human rights abuses within the community. Women, we found, consistently requested that their mechanisms attend to problems of sexual violence in conflict, domestic abuse, land grabbing, and other issues of importance to women at the village level. These issues are, of course, pertinent to all members of a community, not just women. However, it was often women who brought them to the forefront of the discussion. Above all, the research found that seeing the work of civilian ceasefire monitors through a gender lens helps us understand the way these mechanisms function, the strategies they undertake, and the challenges they face. Conversely, by not including a gender lens, we risk negating half of the conversation. There are numerous other ways in which the “how” and “where” of gendering peace and development practice can intersect: Research on women and customary law, women’s forced labor (for example, trafficking, which I have discussed here), and issues of gender and ethnic nationalism could reveal how peace and conflict processes are informed by women’s experiences. These spaces, though not directly related to women’s participation in public life, are nevertheless worth examining. As development practitioners, we should ask deeper questions about how peacebuilding can be more inclusive of, and responsive to, women’s needs. Changing the dynamics of firmly entrenched systems of power is not simply a matter of quotas. When we think about gender and peace in Myanmar, how we look is important as where we look. Viewing peacebuilding from “below” helps us see places where gender neutrality is often assumed, rendering women’s experiences invisible. By probing these spaces, we create a new type of visibility—one in which the structures of power that keep women at a disadvantage can finally be laid bare. This article is the first in a three part series by Erin Kamler on gender, peacebuilding, and development in Myanmar. Read on to the second and third parts. 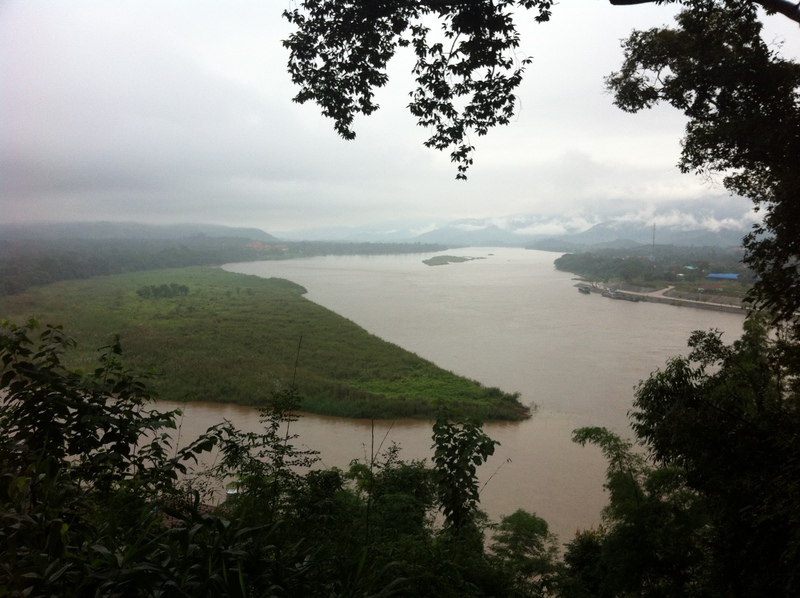 This article is the first in a three part series looking at dams in the Mekong. The lifeblood of the region, the Mekong River (known as the Lancang in China) and its many tributaries flow through six countries: China, Myanmar, Laos, Thailand, Cambodia and Vietnam. Its resources affect the lives of over 70 million people who rely on it daily for food and/or work, but these livelihoods are facing growing threats.1,2,3 Today, the mighty Mekong is at an unprecedented juncture in its ongoing survival, particularly from hydropower dam development. Much of the focus of the Mekong is divided between the upper Mekong, which includes China and Myanmar, and the Lower Mekong, encompassing the remaining four states. Eleven dams are being planned or built on the Lower Mekong Basin’s mainstream with many more anticipated along its extensive tributaries.4,5 Most of these dams come with significant social and environmental impacts. 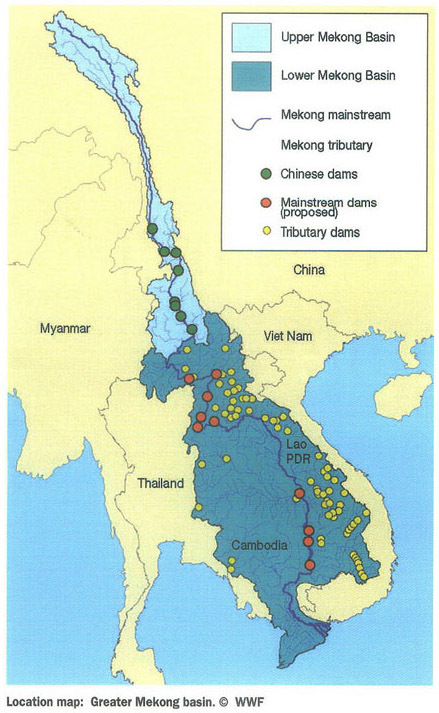 Thus, it is no wonder that disputes have emerged between various Mekong basin states as to the domestic, transboundary, environmental, and social impacts of certain dams. Part 1 of this three-part article examines the existing legal framework for regulating dam development in the Mekong and how its legal gaps and ambiguities have led to ongoing disputes, specifically regarding the Xayaburi Dam under construction in Laos. Entering into force on 5 April 1995, the Agreement on the Cooperation for the Sustainable Development of the Mekong River (Mekong Agreement) for the Lower Mekong Basin states of Cambodia, Laos, Thailand, and Vietnam was the celebrated river basin treaty of its time and a major legal milestone. As Bearden (2010)18 aptly suggests, the Mekong Agreement and the MRC have successfully epitomised what a transboundary watercourse agreement and river basin commission should be in many respects, especially given the ever-changing geo-political and environmental contexts of the basin and its member states. However, twenty years later, the Mekong Agreement and PNPCA have collectively shown identifiable legal weaknesses.The Agreement also established the MRC as an inter-governmental institution with the aim to foster cooperation between basin states to effectively manage river usage. Having not yet decided to join, China and Myanmar hold official observer status as MRC ‘Dialogue Partners’. Another significant limitation of the Mekong Agreement and the MRC is its circular mechanism for dispute resolution. As it stands, the Agreement requires states to peacefully resolve disputes or, when necessary, to refer the dispute to the MRC for further negotiation. However, the MRC refers unresolved matters back to states to use diplomatic means unless, as a last resort, they chose to invite third party involvement. Eventually, if no resolution is reached, states can essentially ‘agree to disagree’ as has occurred with the Xayaburi Dam and its PNPCA process (explored in Parts 2 and 3 of this article). Such stalemates often leave the disputing parties dissatisfied and can breed distrust for future processes. As dam construction on the Mekong rapidly accelerates, states’ legal obligations under the Mekong Agreement and PNPCA, as well as the mandate of the MRC to help guide and resolve disputed procedural matters, need clarifying and strengthening to evolve and cope with these challenges. Given the issues outlined above, Part 2 of this three-part article will next investigate the practical implementation of the Mekong Agreement and PNPCA via the Xayaburi Dam ‘prior consultation’ process, examining the specific contested procedural and legal elements. 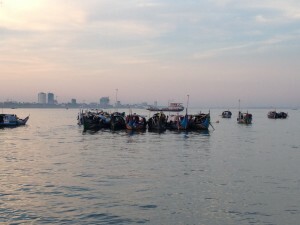 The potential benefits of the 1997 United Nations Convention on the Law of the Non-navigational Uses of International Watercourses (UNWC) – the most authoritative global treaty concerning management of international rivers – being applied to the Lower Mekong Basin are subsequently explored. This article was first published here on the website of the Global Water Forum. It is reprinted with permission of the author and Global Water Forum. Rémy Kinna is an Australian international water law, policy and governance specialist and Principal Consultant with Transboundary Water Law (TWL) Global Consulting (www.transboundarywaterlaw.com) currently based in Phnom Penh, Cambodia. He is an Honorary Research Associate with the Institute of Marine and Environmental Law at the University of Cape Town, South Africa, and an Expert – International Water Law and Policy with the London Centre of International Law Practice’s Centre for International Water Law and Security. Rémy can be contacted via email (remy@transboundarywaterlaw) or found on Twitter. All views and errors remain those of the author and do not represent those of the states, organisations and individuals mentioned in this piece. Hundreds of highway and railroad projects are facing delays or otherwise running far behind originally envisioned construction timetables. This, according to a report issued by China’s National Audit Office, is a result of local governments improperly managing infrastructure funds — actions thought to have a direct effect on the country’s stalling economy. In total, the audit of projects nationwide looked into 815 infrastructure programs across the country. More than 20 percent — 193 in total — were found “to be experiencing significant implementation lags due to a lack of funds or poor initial planning.” Together, the behind-schedule ventures represent government investment of 287 billion yuan (US$45.2 billion). The architects of China’s economy have traditionally relied heavily on state-funded building projects as a means to revitalize the financial system in times of decline. Therefore, those lagging behind schedule due to mismanagement or misuse are seen as harming the economy in two ways, according to the audit. Not only are funds not being spent as quickly as they are authorized, but the benefits to localities through which new infrastructure projects pass must wait idly for any expected economic uplift. In Yunnan, this is especially true in the province’s west. A railroad from Dali — traveling through Yongping, Baoshan, Mangshi and terminating at Ruili on the Burmese border — was originally expected to be completed in 2014. It will provide some of the most populated regions in western Yunnan direct rail access to Kunming for the first time ever. However, due to cost over-runs and awkward mountainous terrain, the line is now expected to open as late as 2019. In an effort to speed up construction along the single-track Darui Railroad (大瑞铁路), Beijing injected a further five billion yuan (US$788 million) in annual funding for the endeavor beginning in 2012. 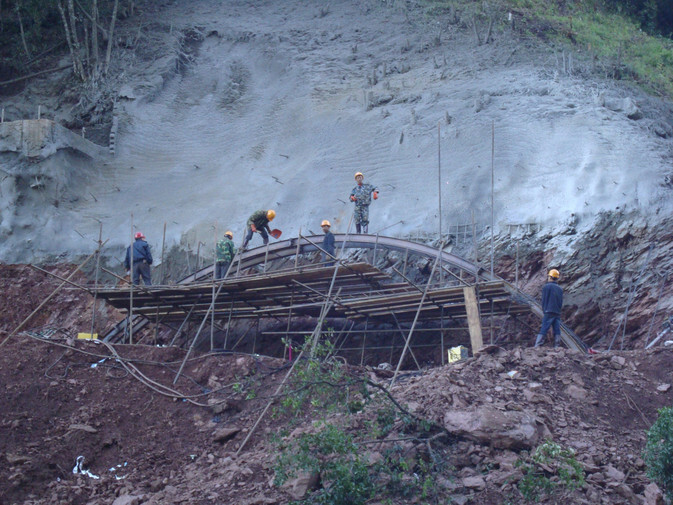 The 335 kilometer railway is 75 percent tunnels and bridges, making for difficult surveys and slow progress, especially in places where engineers must dig under theGaoligong Mountains. The railway was first conceived of in 1938 as a way to connect Kunming with the British colony of Burma. The outbreak of World War II scuttled those plans. However, they have since been resurrected as one part of the massive BCIM trade corridor, which Beijing hopes will one day provide an overland link between Kunming and seaports on the Indian coast some 2,800 kilometers away. This post was originally published on GoKunming and written by Patrick Scally. It is reprinted here, in its entirety, with permission from the author. The Chinese Ministry of Environmental Protection issued a modest fine over the weekend to anAnning oil refinery. While the “administrative penalty” did not specifically mention pollution, the facility in question has been the source of public concern and controversy since construction began in 2013. 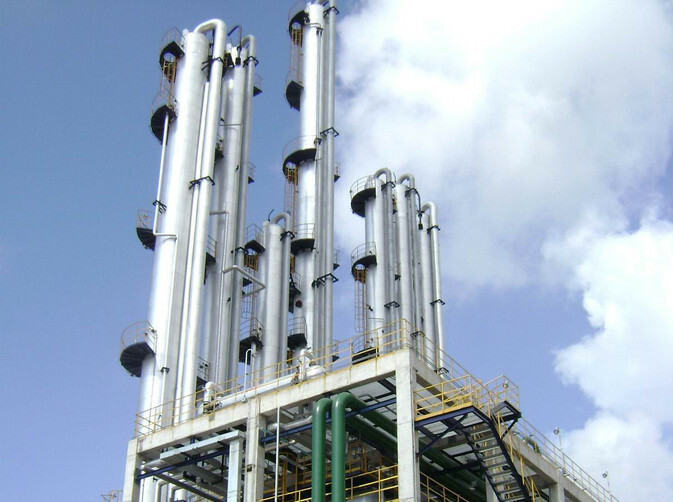 Yunnan Petrochemical Company, a subsidiary of China National Petroleum Corporation, was fined 200,000 yuan (US$31,000) for violating articles 19 and 24 of the national Environmental Protection Act. Specific details were not disclosed beyond mention of “significant changes and unauthorized construction” without the company filing required environmental impact assessment (EIA) documents. The development and utilization of natural resources is bound to affect and damage the environment, [including] resources such as water, land, forests, grasslands, oceans, minerals…All types of exploitation of natural resources must comply with the relevant laws and regulations and fulfill ecological environmental impact assessment procedures according to law…and key construction projects, must comply with soil and water conservation programs should [or] otherwise will not be allowed to start construction. The refinery, which processes “ten million tons” of petroleum each year, has been a source of community concern since construction began outside of Anning in 2013. Local residents feared the plant would produce the chemical paraxylene — an important ingredient in the manufacturing of plastic bottles and polyester clothing. If inhaled or absorbed through the skin, the gas causes varying degrees of damage to abdominal organs and the central nervous system. Concerns over the potential danger the facility could pose to public health went viral on microblogging services, and led to large street protests in Kunming. The city’s mayor eventually addressed demonstrators, promising to look into the matter. However, no substantial news of a final decision was made public, and the refinery operated without further media comment until Saturday. This article written by Patrick Scally was first published here on the GoKunming website on September 1, 2015. Eastbysoutheast.com reported extensively on the the PX protest issue in Kunming in 2013. Shwe Mann’s purge represents a step backwards for Myanmar’s reform process. Less than three months before the country’s highly anticipated parliamentary elections, an internal purge of Myanmar’s ruling party has cast doubts on the prospects of reforms in the Southeast Asian state. On Wednesday evening, security forces surrounded the headquarters of the ruling Union Solidarity and Development Party (USDP), preventing politicians from leaving. Not long after, it was announced that Shwe Mann, chairman of the military-backed USDP was stepping down. The Parliament speaker’s ouster has changed Myanmar’s political landscape ahead of November 8 and has thrown the future of the nascent democracy into uncertainty. 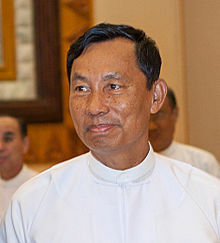 Shwe Mann, who was the third highest ranking official in General Than Shwe’s junta, was expected by many to take over the presidency in this year’s election. His ties to the military and his reputation as a reformer with close connections to opposition leader Aung San Suu Kyi made him the ideal compromise candidate for a country that is struggling to maintain the pace of political and economic reforms started following the end of military rule in 2011. It was this image as a reformer that ultimately led to his downfall. Ye Htut, Myanmar’s information minister and President Thein Sein’s spokesman confirmed as much Sunday, saying that Shwe Mann was removed because he challenged the military’s hold on parliamentary power and forged ties with rival party leaders. Throughout Thein Sein’s tenure, Shwe Mann repeatedly made public overtures to Suu Kyi and her party, the National League for Democracy (NLD). Many in Myanmar expected this year’s parliamentary elections to result in a unity government of the USDP and the NLD, with Shwe Mann as president. Both party leaders expressed a desire to alter the junta-backed 2008 constitution, which currently bars Suu Kyi from becoming president and reserves 25 percent of the parliament’s seats for the military. Announcing his desire to partner with the opposition leader gained him popularity among the reform-minded Burmese public, but it did not endear him to the military elite. Former junta leader Than Shwe has reportedly changed his mind about the series of reforms he ordered five years ago and ultimately ordered Shwe Mann’s removal in order to re-consolidate the military’s hold on power. The imagery of Wednesday evening’s intra-party coup certainly suggests that a return to the atmosphere of pre-reform Myanmar is afoot. Using the country’s security forces betrayed the involvement of the Senior General Min Aung Hlaing, likely carrying the blessings of Than Shwe. Despite his large political ambition, it is doubtful that the encirclement of USDP headquarters by soldiers and military police was needed to remove Shwe Mann from power. 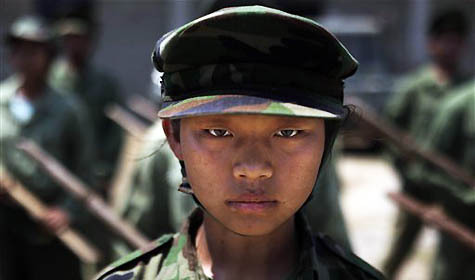 Instead, the display of military force was symbolic, serving notice to any would-be political challengers and the Burmese public as a whole that the military is ultimately in control. The bloodless coup’s casualties were only political in nature, but the violent signals it sent will have reminded many of past military purges. Aung San Suu Kyi may be free from house arrest, newspapers may have cautiously restarted their printing presses, but the junta has not yet given up the reins. The political landscape leading up to this year’s elections has changed considerably following Shwe Mann’s removal. He was Thein Sein’s primary political rival and with Aung San Suu Kyi sidelined by constitutional provisions, the presidency is Thein Sein’s to lose. Whether or not he will take the opportunity is another matter. The former general has waffled in his plans regarding the presidency, alternately saying that poor health will force him to step down and suggesting that his decision depends on the “the country’s situation, the prevailing circumstances, and wishes of the people.” Thein Sein does not need to immediately decide on his political future, however. Even if he chooses to sit out November’s elections, Thein Sein can still be nominated for the presidency by parliament, according to Myanmar’s 2008 constitution. While Thein Sein’s presidential ambitions may be unclear, the prospects for liberal reform in Myanmar are unquestionably dim. Shwe Mann’s removal likely signals both a slowdown for political reform and crackdowns on Myanmar’s burgeoning civil society and free media. Following his ouster, the government gagged media organizations linked to Shwe Mann. The Union Daily newspaper and the weekly Leader journal, both known as mouthpieces for Shwe Mann, were ordered to suspend operations by the Ministry of Information. In addition, Cherry FM, a radio station linked to Shwe Mann’s daughter-in-law, was taken off the air Friday. Despite seemingly bleak prospects for Myanmar’s reform process, Shwe Mann’s removal could have unexpected consequences if the November elections remain free and fair. Shwe Mann represented reform within the country’s military establishment and offered a middle road between the NLD opposition and the hardliners in the USDP. Many Burmese that I have spoken with in recent years knew that Aung San Suu Kyi’s chances of ascending to the presidency were slim and viewed Shwe Mann as an acceptable alternative. That option is gone now. By deposing Shwe Mann, the USDP might have pushed millions of moderate voters into the arms of their political opponents. However, that all depends on free and fair elections in November – an unlikely event following Wednesday’s intra-party coup. This week news broke that dozens, if not hundreds, of police seizures had been carried out across the country in an ever-broadening meat scandal. The crackdown covers at least 14 Chinese provinces including Yunnan, where much of the spoiled food apparently entered the mainland. Coinciding with reports released across the country, the Yunnan Public Security Bureau announced it had seized 750 tons of rotten or otherwise dangerous pork, chicken, beef and donkey meat in three separate cases. The investigations were originally opened last year but a spate of arrests began on April 13, 2015, and has led to the jailing of 25 people as well as the confiscation of tainted food valued at 80 million yuan (US$13 million). The national scandal has involved horrific stories of meat frozen for up to forty years. Investigators believe Shenzhen was a major port of entry for three billion yuan (US$482 million) in spoiled goods (requires proxy). However sizable amounts are also thought to have entered China through Vietnamese border crossings in Yunnan and Guangxi. Once in China, meat was often thawed, repackaged, relabeled and then frozen once again before being distributed across the country. Yunnan police detained suspects in the cities of Songming, Yiliang, Jinghong, Jinning, andChenggong. Some were taken into custody for trafficking, while others arrested for illegally transporting banned substances. Vietnamese companies operating under the Chinese names Tianhe (越南天河公司) and Huafeng (越南华峰公司) have been implicated in smuggling meat across the border, although no legal action against the companies themselves has been made public. The case in Songming began when 200 middle school students were sent to emergency rooms with food poisoning. A subsequent criminal investigation into the school cafeteria eventually uncovered a cache of rotten meat, some of which tested positive for E coli. All of the students were eventually released from the hospital. As with most Chinese provinces, Yunnan is no stranger to terrifying headlines concerning tainted or dangerous food. Before ancient meat products came to be a concern, gutter oil — referred to colloquially as digouyou (地沟油) — was a major worry, culminating in the 2013 police seizure of 32,000 tons of ‘store-ready cooking oil’ manufactured largely out of industrial and commercial waste. The current province-wide investigation into illegal food and drug smuggling is code-named ‘Operation Sharp Sword’ (利剑行动). In addition to uncovering trafficking rings dealing in contaminated meat, detectives are also concerned with finding factories producing fake over-the-counter drugs. To report suspicious behavior, people are encouraged to call the Yunnan Public Security Bureau hotline at 63052548. Operation Sharp Sword will continue until April 2016. This article, written by Patrick Scally was first published here on GoKunming.com. GoKunming.com is Kunming's premier website for English language news, upcoming community events, reviews, and local listings.